Management Is working too hard a strength ... or a weakness? Is working too hard a strength ... or a weakness? If you feel proud about working awfully hard, an essay by writer Zach Morgan will be an eye-opener. On the Thin Difference blog, he argues it truly is a weakness – not a strength – and offers solutions. Prioritizing the quantity of work you do when the quality matters just as much, if not more. “It may start slowly, taking on an extra project here, picking up the slack for a teammate there. You may ask for a little more to be put on your plate in order to show that you’re a hard worker who can handle the workload and the responsibility. You’re showing your ambition, in a sense, but there comes a point when you start to spread yourself too thin,” he writes. Soon the quality of your work simply cannot keep up with the volume of it, small mistakes crop up, and your supervisors or colleagues have to compensate. Working significantly more than is required of you. Your work-life balance erodes or is eradicated, and you could be headed for burnout. Even if not that bad, you may be plagued by anxiety and find yourself without friends because you are boring to be around. “If most of your time is spent pumping out work, you may lose track of the more enjoyable things in life: Exploring hobbies, travelling, bonding with family and friends, relaxing, etc. When your personal life blends too heavily with your professional life, you lose track of your identity; you lose track of who you are when you aren’t being an employee. In this sense, all work and no play can make you quite dull to be around,” he says. To combat the first danger, he suggests figuring out why you are prioritizing the quantity of your work over the quality. Perhaps you want to be perceived as a hard worker or the ultimate team player. As well as reflection, this may require you to get an outside perspective from a supportive third party. Then find a way of getting a better balance between quality and quantity. This may involve asking teammates for help, telling them it would be better if you weren’t so rushed. Also spend more time planning how to allocate your time effectively, so you understand better how much extra time there might be to assist others. “You don’t have to abandon the ‘quantity’ aspect of work completely, you just have to plan accordingly,” he says. It’s more complex, he says, to deal with the second problem of working so hard that you sacrifice work-life balance. Some of the reasons you are in this situation might be out of your control, but others might well be within – at least to some extent. “Is there something at home you’d wish to avoid? Is there something unpleasant in your personal life that you need to drown out with constant work and busyness? Do you have anxiety about your job security or about your place in the office hierarchy? If so, do you feel that going 'above and beyond,’ to the point of going overboard, will help you keep your job and your paycheque? I’ve been there. I know the anxiety that tenuous job security can cause, and I know the measures we sometimes take to try and counteract it," he says. Speak to a trusted colleague to get a better perspective, even a health professional. Seek help from others at work so you are not as overburdened. “There is honour in working hard, but destroying your general well-being in the process is a detriment to your professional and personal development,” he stresses. We’re about to get a lesson in marketing, according to entrepreneur Seth Godin. When marijuana is legalized, the purveyors will be trying to build image, like alcohol makers – notably brands like Bacardi, Johnnie Walker and Smirnoff - that gained fame after Prohibition ended in 1933. But don’t expect it to happen. Both the alcohol and marijuana industries are regulated and use non-proprietary manufacturing techniques. Both have products that are primarily sold in specialty stores. But Godin stresses that there’s a big difference. “When alcohol marketing became legal, it coincided with the glory days of magazines, radio and then TV. The mass-marketing phenomenon happened at exactly the same time as these brands were being rolled out – and along with cigarettes, alcohol brands were major advertisers, particularly in magazines (hard liquor) and TV (beer).” The ads supported the media in a fundamental way, and vice versa. But as cannabis marketing arrives, the internet is dominant, and it’s not a mass media. “It seems like one. It’s used by billions of people. But it’s a micro medium. A direct-marketing medium,” he points out. He notes that there are three billion people online but says that most websites are seen by only a small number of people each day. As well, alcohol gained from the thousand-year-old pub and tavern tradition. 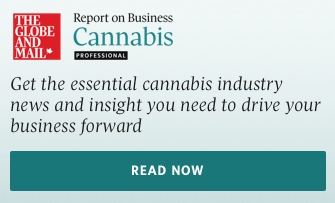 “Those facilities offer status games, word-of-mouth and significant margins that created another marketing engine for alcohol that won’t exist for cannabis,” he adds. It’s still possible some big brands will emerge from the frenzy, but he predicts what will happen is more akin to the marketing of local espresso and high-end chocolate and whiskey, segments where word-of-mouth is influential, and less like vodka. Keep an eye out for the marketing lesson ahead. The distinctions Godin makes may apply to your own organization. Do you often feel confused, anxious, irritable, fatigued or physically debilitated? Are you having increased interpersonal conflicts (for example, with your spouse, children, other family members, friends or colleagues)? Do you feel overwhelmed by the demands of e-mails, messaging tools and social media? Have you recently experienced a life-altering event such as a change of marital status, new work responsibilities, job loss, retirement, financial difficulties, injury, illness or death in the family? Smart people never bring smartphones into meetings, says psychologist Travis Bradberry. A second warning: The group most likely to disregard the advice is millennials. When you take out your phone in a meeting, it shows lack of the following: Respect, attention, listening, power (you are like a Pavlovian dog, at the beck and call of your phone), self-awareness and social awareness. As you enter a tense negotiating situation, make sure to shake hands with the other party. The simple gesture subtly signals co-operative intent and boosts deal-making, new research from Harvard Business School shows. In job interviews, share the credit with your colleagues while answering questions. That gives more credibility to your claim of being a team player rather than merely saying you are, since everybody does that, says emotional intelligence expert Harvey Deutschendorf.